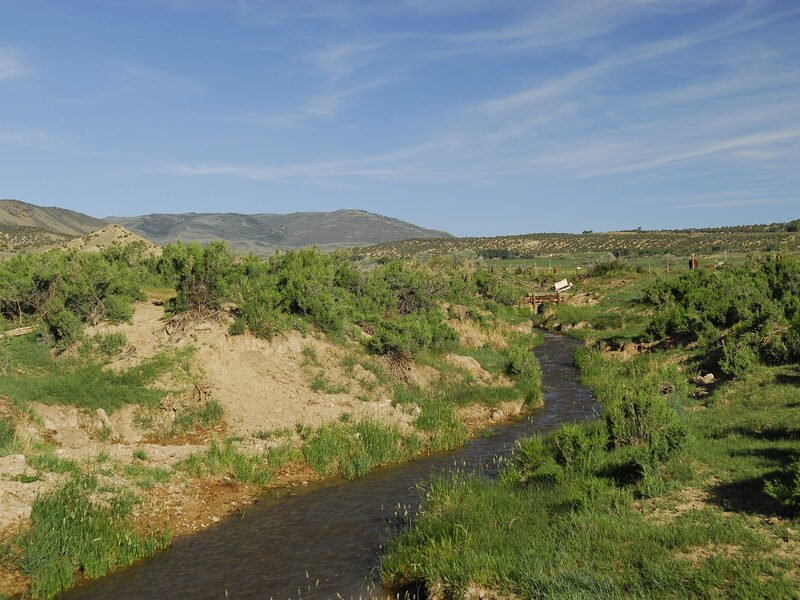 The Birch Springs Ranch, located on Utah Highway 43, is about 2½ miles west of Flaming Gorge National Recreation Area and the town of Manila, the County seat of Daggett County. Seventeen years ago, in 1996, Robin May, an entrepreneur from Rock Springs, Wyoming purchased the 385-acre Birch Springs Ranch. Several years later he purchased the adjacent Ranch consisting of about 396 acres, creating the current 781± deeded acres. Over the years Mr. May significantly improved both properties in many ways. Perhaps the most significant improvement was converting all of the flood irrigation to more efficient gravity-pressurized wheel-line sprinklers. In addition, he added a solid one-bedroom home with a loft along with a modern shop, a large spring-irrigated garden and small orchard. Interior roadways and cross fences were improved and over twenty tons of accumulated scrap and dilapidated structures were removed. Now retired and ready to scale back, Mr. May has made the decision to sell all or part of the Ranch. 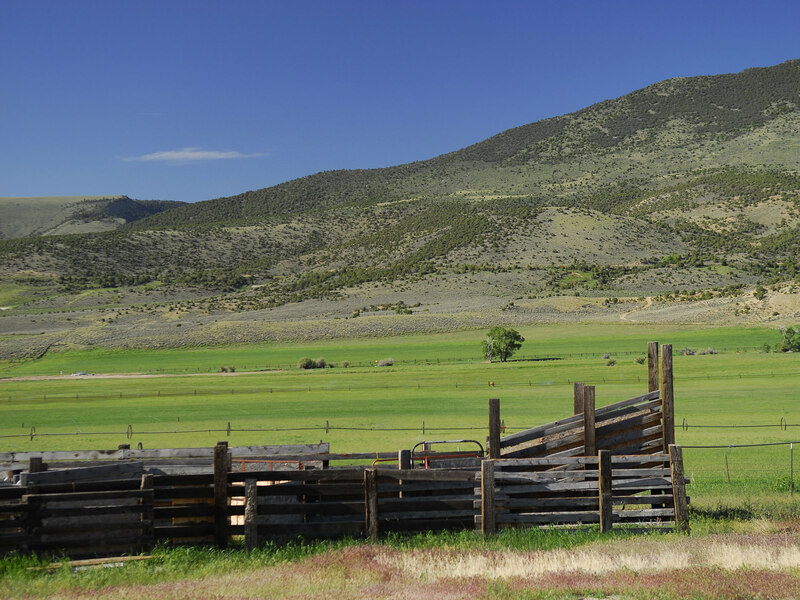 The Birch Springs Ranch is located about 2½ miles west of Manila, Utah in Daggett County. 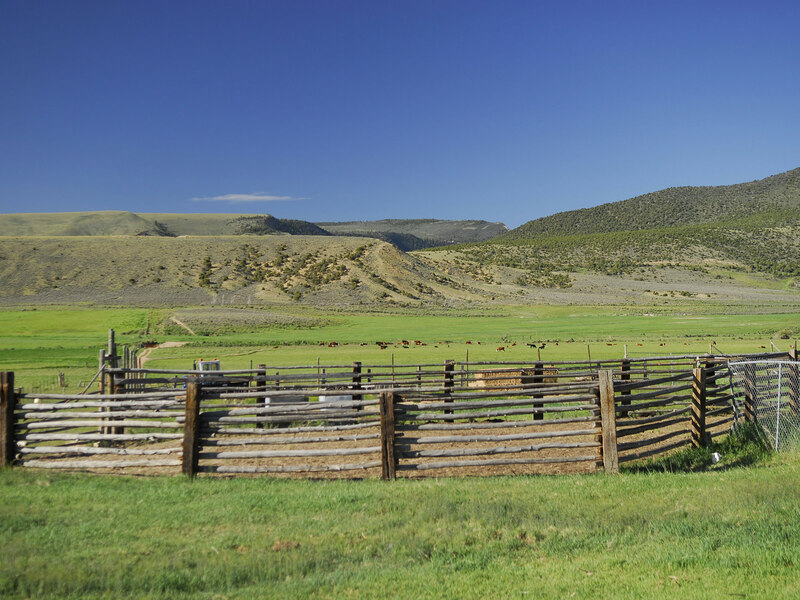 The Ranch fronts and is accessed by State Route 43, the main paved highway between Manila and the Fort Bridger Interchange on Interstate 80, which is 55 miles to the west. From Fort Bridger, Salt Lake City is 165 miles away via I-80. Daggett County Airport lies approximately 2 miles east of Manila. The 5,300-f00t long and 60-foot wide landing strip is paved with chip and seal and has radio-activated lights. 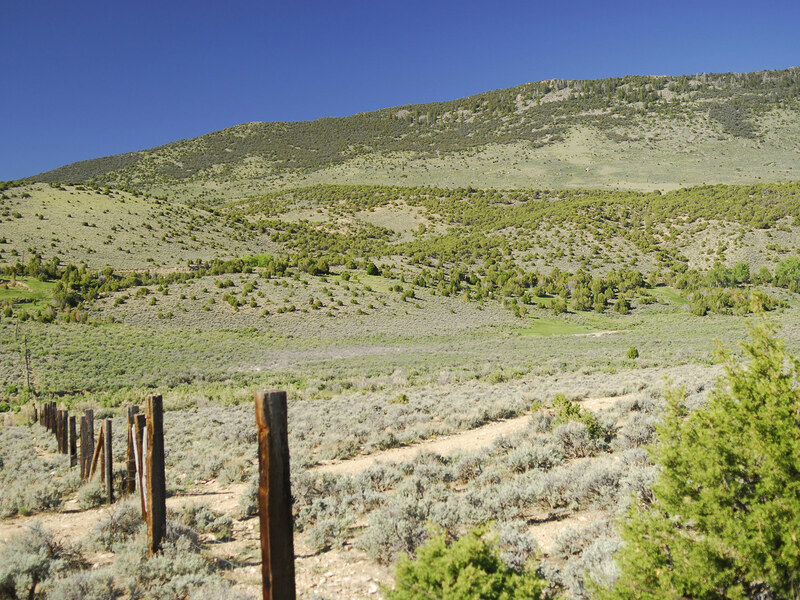 Daggett County, known as the “Gateway to the Flaming Gorge”, shares a common boundary with the states of Colorado and Wyoming and is the most sparsely populated County in the State with an estimated population of about 1,100 people. 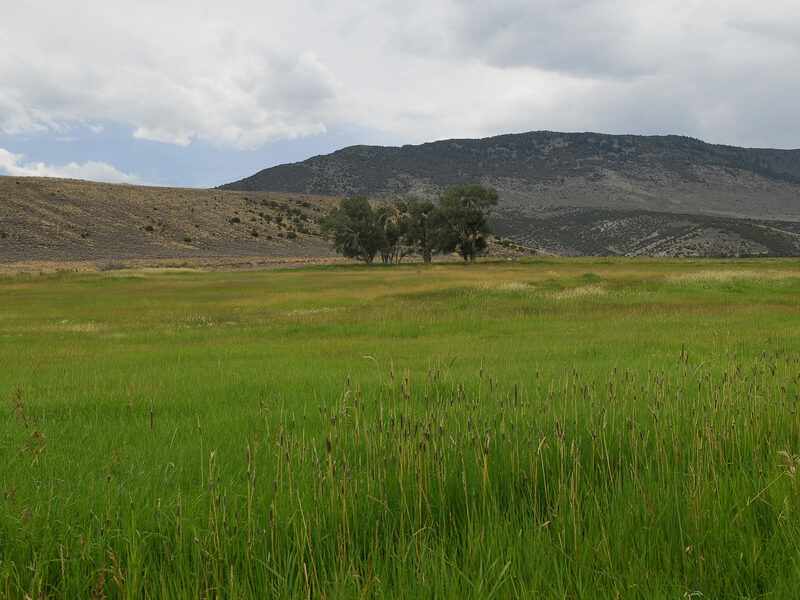 The economy of Daggett County is primarily based on the raising of livestock, hay, and alfalfa, but is also an important producer of electric power for Utah and surrounding states. Manila, the County seat of Daggett County is located 2½ miles east of the Ranch. The population of Manila is about 315, and services include a gas station/convenience store, a bank, 3 motels, several restaurants and schools, kindergarten through 12th grade. The Lucerne Valley Marina, located about 3 miles east of Manila, is a full-service marina with a store, a seasonal restaurant which is open from May through September, boat rentals, camping, cabin rentals and more. Dutch John is the only other Daggett County municipality and is located about 40 miles from the Ranch. Dutch John was originally created as a government town for the crews that built the Flaming Gorge Dam in 1963. After the Dam was finished The Bureau of Reclamation deeded the land to the County. Today Dutch John has a population that varies from around 250 in the summer to about 150 in the winter months. The Flaming Gorge Dam is located about 3 miles from town. Dutch John is home to the Flaming Gorge Lodge which is open year round and offers complete fishing and guide services. Generally, the Ranch’s crop-land soils are made up of Poposhia Loam, Poposhia Clay Loam and McFadden Fine Sandy Loam. Poposhia Loam is a very deep, well-drained soil on sloping alluvial fan aprons and footslopes. Poposhia Clay Loam is a deep, moderately well-drained soil located on nearly level alluvial fans. The third major soil type is McFadden Fine Sandy Loam which is also a deep, well-drained soil. All of these soils will be located on slopes ranging from 0 to 10 percent. With proper erosion control, consistent fertilization and good water management, these soils are well suited for hay production and irrigated pasture. 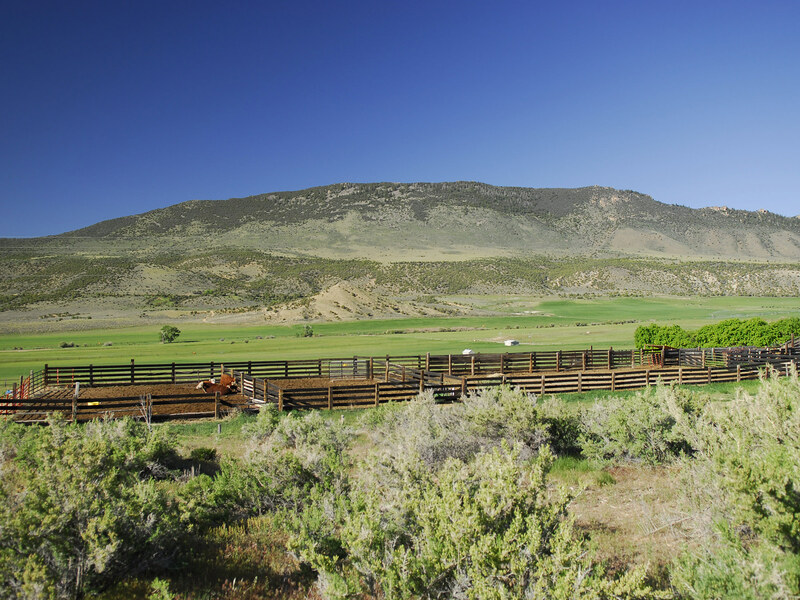 The Ranch’s four-season climate is characterized by monthly mean temperatures ranging between 22.1 and 67.8 degrees Fahrenheit. There are many sunny days. The average annual “Frost Free” Period (recorded since 1931) typically begins about June 8 and ends about October 23rd, for an average of 92 days. The average annual precipitation is 9.71 inches per year. The elevation on the Ranch ranges from about 6,580 feet to 6,720 feet, with the Ranch’s headquarters sitting around 6,680 feet. The Sellers will convey with the Ranch 50% of whatever mineral, oil, gas, geo-thermal, hydro-carbon and gravel rights which they actually own, subject to reservations by previous owners. They make no representation as to the quantity or quality of any mineral or other subsurface rights appurtenant to the Ranch. 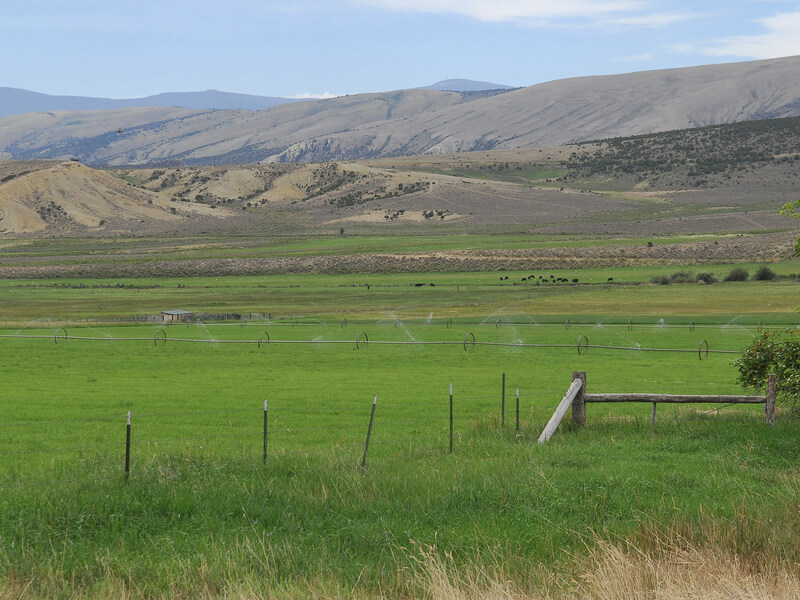 The Ranch includes 557 Shares of Sheep Creek Irrigation Company stock. The total outstanding stock in the Company is 10,000 shares. The annual assessment for 2012 was $7.50 per share. Long’s Park Reservoir, located about 10 miles south west of the Ranch is the storage reservoir for the irrigation company, and in a normal water year stores 13,700 acre-feet of water. 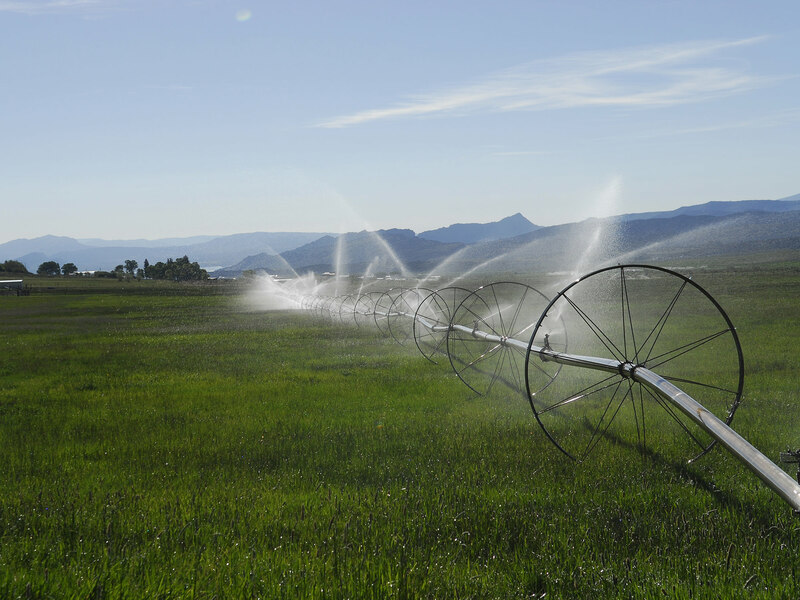 Water is usually released into the irrigation system between May 1st and May 15th depending on weather conditions and usually remains available through September. 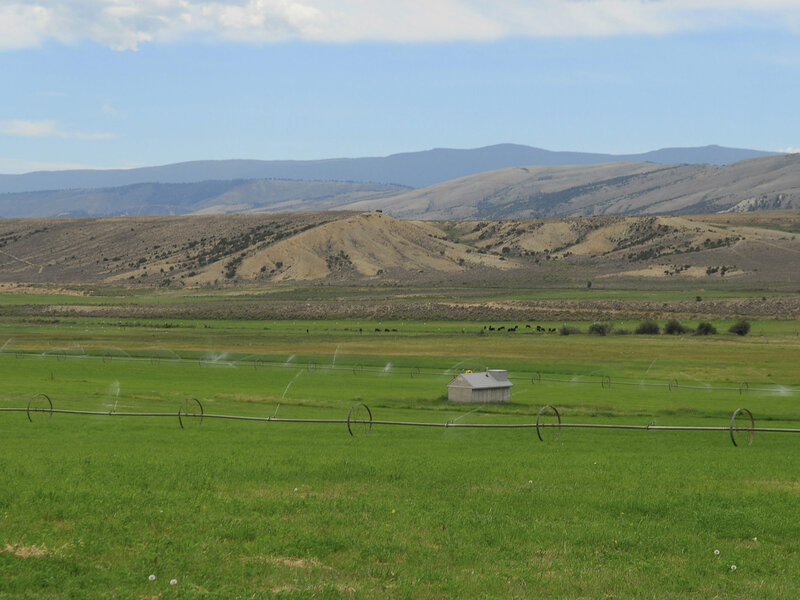 The Seller’s conversion of the irrigation system on the Ranch to an underground gravity pressure system has resulted in a dramatic improvement in irrigation efficiency. Irrigation water is delivered via a diversion from the South Valley Canal located just south of the Ranch and put into two pipelines. One serves the West Unit of the Ranch and the second serves the East Unit of the Ranch. The pipelines are independent of each other, and were constructed about 10 years ago using oversize pipe to minimize interior scouring. In addition, each of the two pipeline diversions includes a settling pond in order to clarify the water before it goes into the pipe. Both pipelines include several butterfly valves allowing further convenient irrigation-water management. A second canal, the Cedar Hollow Lateral Canal, traverses the north side of the Ranch, just below the East Unit improvements. This canal is currently being replaced with pipe which will be buried in the existing canal right-of-way. Construction is scheduled for completion by early May 2014. The South Valley Canal is also scheduled to be piped and completed by 2016. The irrigation equipment which the Ranch owns including 10 wheel line sprinklers together with all movers, hoses and associated openers is included in this Offering. Electricity is provided by Bridger Valley Electric Association, a consumer-owned cooperative located in Mountain View, Wyoming. This co-op also acts as an internet service provider. Union Wireless, also based in Mountain View, provides land-line, cellular-phone and internet services. Culinary water for both homes is provided from water rights to springs detailed in the Water Rights Section of this Brochure. The 2012 real estate taxes were a total of $3,154.12 for both Ranch Units. 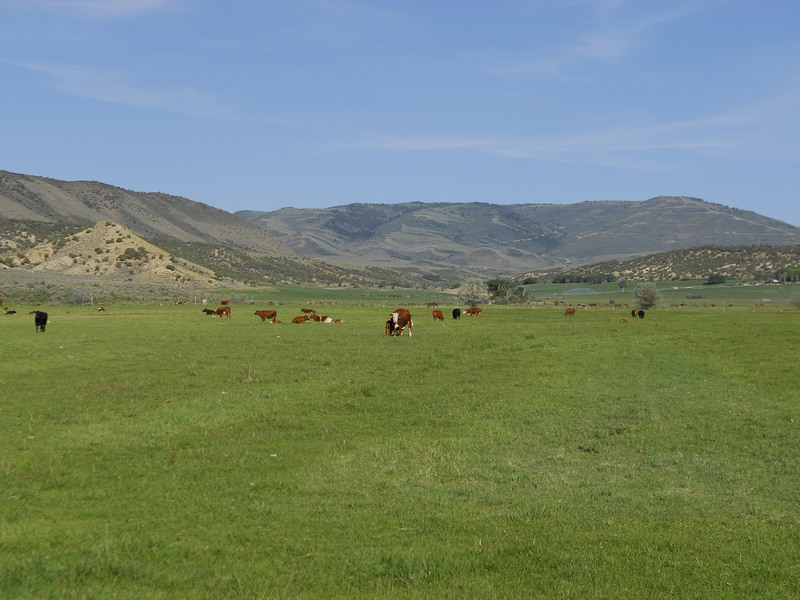 All of the land is assessed under the Utah Farmland Assessment Act (Greenbelt). The Buyer will be responsible for roll-back taxes which will be assessed if the Buyer changes the land use. Daggett County has zoned the property A-20. Home sites require a minimum of 20 acres. This Unit includes a 1990 Champion manufactured home with 4 bedrooms and 2 baths as well as a kitchen, living room, dining and family rooms all in 1,795 square feet. The home is in good condition and rents for $700 per month. The West Unit includes a set of livestock handling corrals with loading chute. The East Unit includes a one-bedroom one-bath cabin with a loft built by the Seller for his family’s use. The home is in good condition. This Unit also includes a modern 40' x 75' shop building and features a floor that is ½ concrete and ½ gravel, one 12' x 12' overhead door and one 12' x 16' overhead door. The shop has a dedicated 100 amp service with single phase 220 volt which also supplies 110 volt power to the large high-fenced garden. The shop also features 75 feet of four-tier 2-foot deep shelves. 10' x 12' Storage Shed: Insulated with a lockable door. 10' x 16' Storage Shed: Uninsulated with 220v power and lockable door. 12' x 24' Storage Shed: Uninsulated with a lockable door. The one-acre garden located next to the Shop measures 150' wide x 300' long and is completely fenced with 6' high chain link with top rail. The Garden is irrigated via an ingenious underground spring-fed irrigation system that also provides domestic water to the cabin, yard and landscaping. The system is entirely gravity pressurized. It also includes heat-taped pipes so the garden and yard can be irrigated in the event of a dry fall season. This Unit includes a set of livestock handling corrals with loading chute. 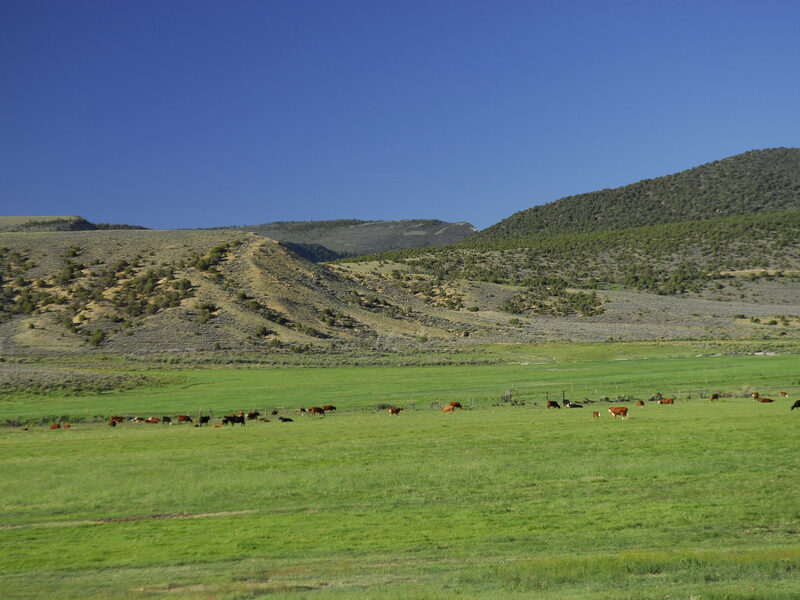 The Ranch is less than 10 miles from the Lucerne Marina at Flaming Gorge National Recreation Area. The dam on the Green River creating the 90-mile long Flaming Gorge Reservoir was completed in 1964. In 1968 Congress set aside the 200,000 acres that make up the Recreation Area. Since then, some of the largest trout in North America have been caught in this legendary fishing lake. The Utah portion of the Recreation Area includes a beautiful mountainous area composed of benches, canyons and forest with the Wyoming side composed of low hills, shale, and desert. Recreation in this region is unlimited, from hiking to camping, boating and associated water sports. The fishing at Flaming Gorge is renowned– anglers come from all over the country in search of the really big ones. The Recreation Area is also open to State regulated hunting. The fly fishing on the Green River below Flaming Gorge dam is unparalleled. With the river flowing through this spectacular red-rock canyon, the consistent water temperatures make this tailwater a world-class fishery. The clear water, consistant hatches and huge population of large trout lure anglers from around the world. A discussion of recreational opportunities available in the area would not be complete without mentioning the 150-mile long High Uinta Mountain Range. This remarkable mountain range not only provides water for the Birch Springs Ranch and the entire Lucerne Valley, but also includes the 456,704-acre High Uinta Wilderness Area – the largest in Utah. 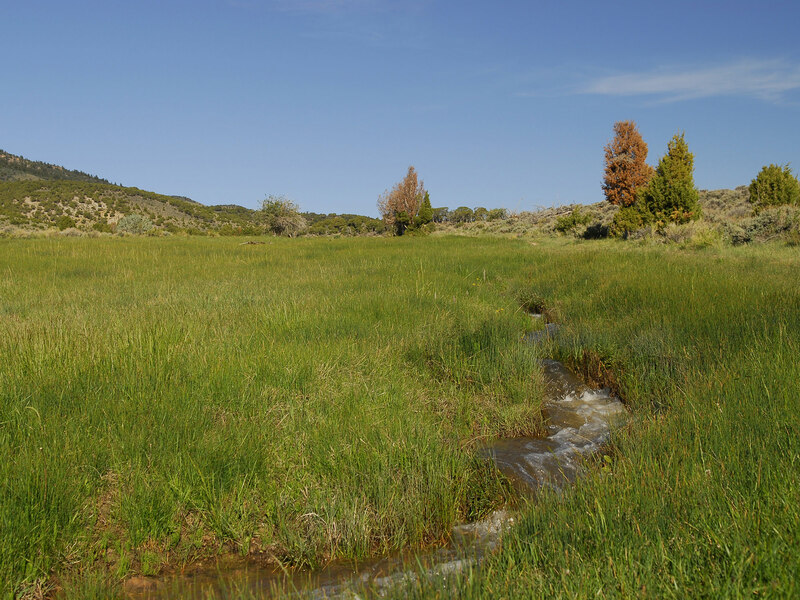 The Wilderness Area is encompassed by the Wasatch and Ashley National Forests, part of the historical hunting grounds of the Utes, Paiutes, and Shoshones. During the late 1800s ranchers and homesteaders poured into the area – cattle rustling soon became a problem for the ranchers partly because there are many secluded canyons providing easy hiding places for outlaws. On many occasions Butch Cassidy and his band would hole up in this country after a bank or train robbery. A resident elk herd frequents the Ranch for most of the year. The Ranch owner is issued two depredation hunting permits each for mule deer and elk to help control them and the large deer herds that migrate through the Ranch. The landowner also has access to mitigation vouchers for hunting licenses.